Estate CleanUps performs estate clean outs, partial clean outs (basement, attic, etc.) or downsizing. We are reliable and efficient whether liquidating an entire estate, downsizing for relocation or preparing for the real estate market. Estate CleanUps is sensitive during estate clean outs and we will be there for you through every step of the process. 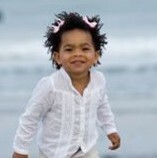 We know what items are valuable, salable, useful and disposable. Cleaning out an estate can be done quickly with our professionals. Homes that need a great deal of sorting and large volumes of accumulated assets and property are our specialty. Many homes possess massive amounts of paperwork, memorabilia, mementos and other items that a family has accumulated over the years. Sorting through it all can be overwhelming, emotional and exhausting. Estate CleanUps will sort through items leftover after the family has taken its personal belongings and sift through them to see what may have missed, what is valuable and what is not. We have connections with charitable organizations, antique dealers and consignment shops and will provide receipts for tax purposes. 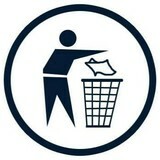 We use all of the above services before we dispose of anything. Estate CleanUps will meet with the client and discuss what items the family wants and tag them and the rest of the items will be sorted, sold, donated or carted away. If family members are out of town when a loved one passes we can help facilitate the process as your time may be limited. We can provide the family with vendors needed after the clean out process, such as an electrician, plumber, landscaper or real estate agents. We really help you get through the whole process. 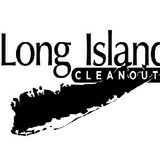 Long Island Cleanouts is a family-owned and operated estate cleanout and junk removal service. It can be stressful to clear out years worth of heavy furniture and knickknacks. We'll quickly remove the burden, saving you hours of time and back break, at a very affordable price. We offer the best landscaping services, windows cleaning and tree trimming. We pride on our service and enjoy what we do. call us for free estimates. Groton Junk Pickup is a locally family owned business. They cater to all residential and commercial properties, including furniture, appliances removal, cleanouts, construction disposal, and more. We offer the best rates around, so give us a call for your free estimate. Junk removal is a topic not widely talked about, but it’s necessary and we are the company that can get the job done for you. Maybe you’re a homeowner who is finding herself with an empty nest and can’t wait to get all of your home’s clutter cleared out for once and for all. Maybe you’re finding that the billiard table that your son and his friends couldn’t get enough of back in the eighties is now just a spot for you to place old mail and circulars that you haven’t had the chance to go through yet. You may even be facing the unfortunate event of cleaning out the home of a loved-one who isn’t able to do it on his or her own or has passed on. 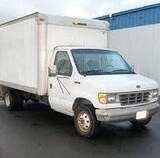 Whatever your reason, our company JUNKRAPS.COM can provide you with whatever service you may need. If you’re able, we can provide you with a container and you can fill it up at your own convenience and when you’re done, we’ll just haul it away. If you need JUNKRAPS.COM and you need someone to do the job for you, we can provide you with a team of professionals who will show up and remove whatever you want. Whether it’s an old barbecue that’s been sitting on your deck for ages, or your child’s old furniture set, we can take it out of your home for you and dispose of it properly. Rental property owners who have tenants that leave behind all kinds of trash, and need it all removed quickly so they can turn the apartment over to the next tenant, often call upon our JUNKRAPS.COM services. With the housing crisis of recent years, we’ve seen a large number of people buying up foreclosed properties and with those properties comes whatever might be inside too. We can clear out a property, ripping out carpets, removing old furniture or whatever else might be left behind for a fraction of the cost of a construction crew or comparable demolition crew. Our professionals take care not to damage other surfaces when they are removing garbage and we are insured so there’s nothing to worry about. .
We are a roll-off dumpster rental company. We offer competitive prices on a per job basis for large commercial contractors. Are you a demolition contractor clearing out a large office space, or a general contractor starting a new project that will need our services? We want to help. We want to team up with you to assist in your debris removal. Our extensive experience in commercial construction projects allows us to maximize our service and provide our clients a worry free, reliable dumpster rental. You will be able to count on us when you need us. There are full-service junk removal companies in Water Mill, NY that help with everything from clutter and hoarding cleanups to appliance recycling to donating unwanted items. Keep in mind that you may need professional help removing certain items from your home, particularly if they’re toxic or unstable. Here are some related professionals and vendors to complement the work of junk removal: Tree Services, Environmental Services & Restoration, General Contractors, Home Builders, Landscape Contractors. Find rubbish removal professionals on Houzz. Narrow your search by city or zip code for a list of Water Mill, NY rubbish removal services. Get contact information so you can ask about rates, and read customer reviews to find the best rubbish and trash removal service for your home improvement project.